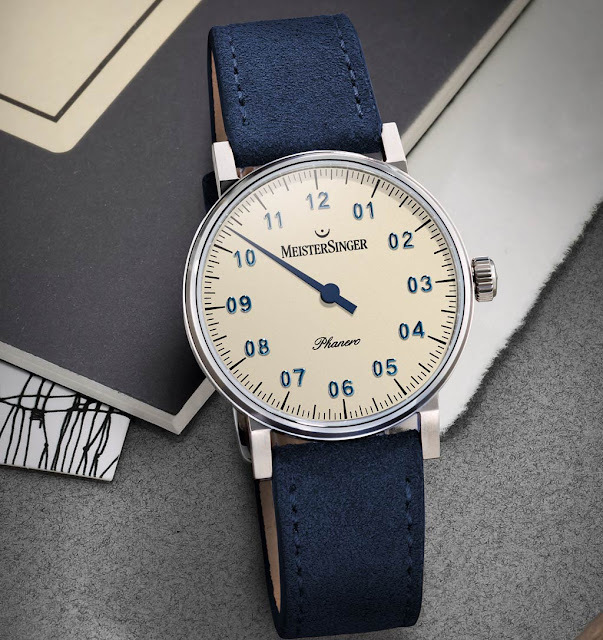 Presented at Baselworld 2016, the new Phanero (from the Ancient Greek word "phanerós" meaning "visible"), with its diameter of 35 mm, is now the smallest and thinnest model in the MeisterSinger collection. Although the Phanero is immediately recognisable as a MeisterSinger timepiece for its distinctive dial with one hand only and the applied double-digit hour markers, the new model differs not only for the smaller size but also for the edgy design of the case that, together with the angular lugs, contributes to a strong and expressive look. 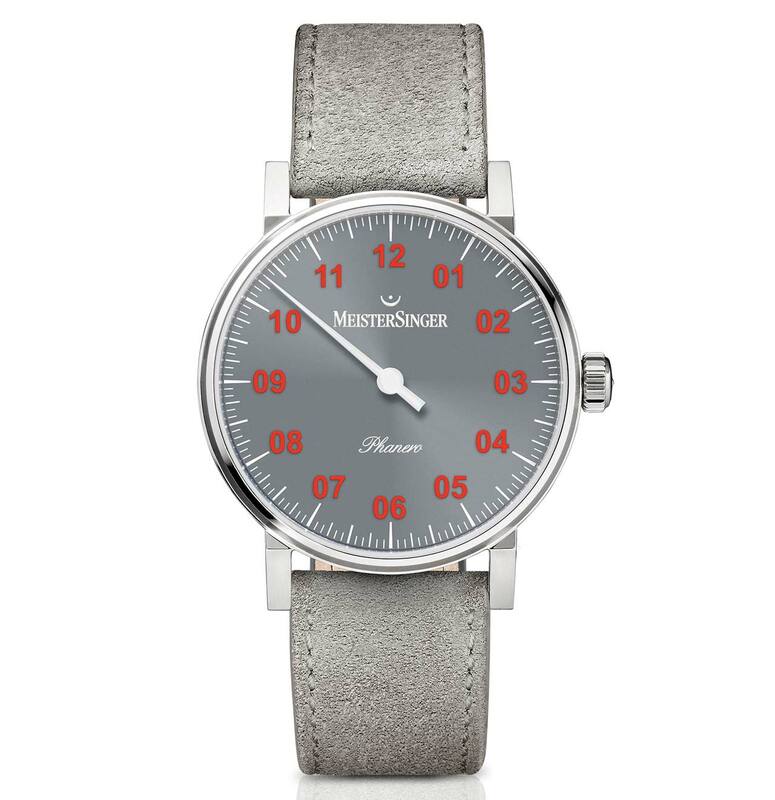 Alternating brushed and polished surfaces, the stainless steel case has a well proportioned height of 7.5 mm and it is water resistant to 30 metres / 100 feet. 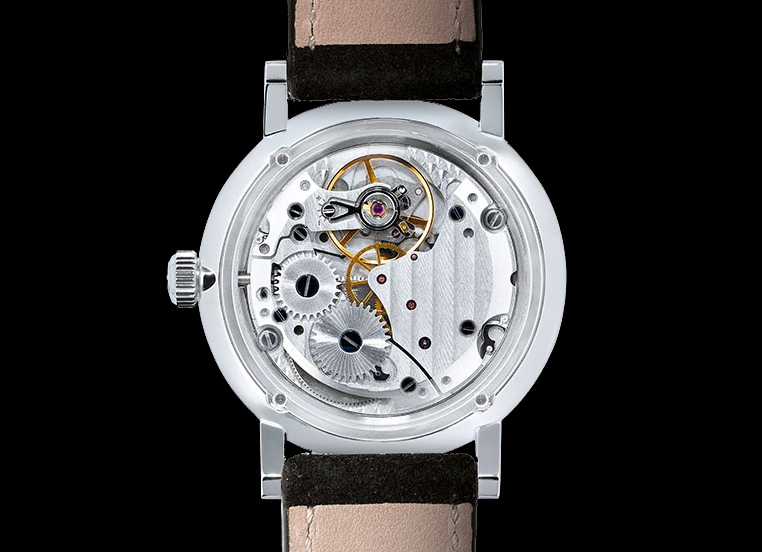 The sapphire crystal case back reveals a Swiss hand-wound and anti-shock movement, based on the Sellita SW 210, which beats at 28,800 vibrations per hour and guarantees a power reserve of 42 hours. The Phanero comes in five colour variations including the classic MeisterSinger ivory coloured-dial here combined to blue hand and hours markers (ref. 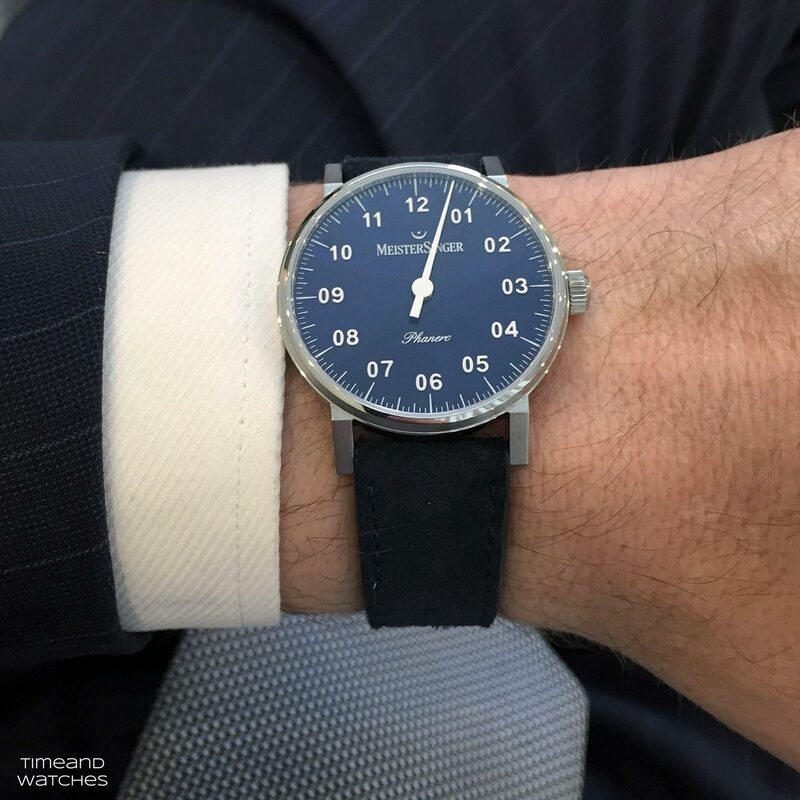 PH303). The other options are: sunburst anthracite with white hand and golden hour markers (ref. 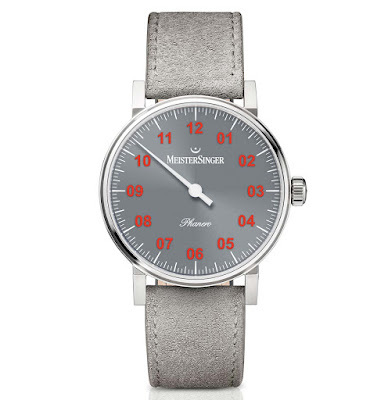 PH307G), sunburst anthracite with white hand and red hour markers (ref. PH307R), sunburst blue with white hand and white hour markers (ref. 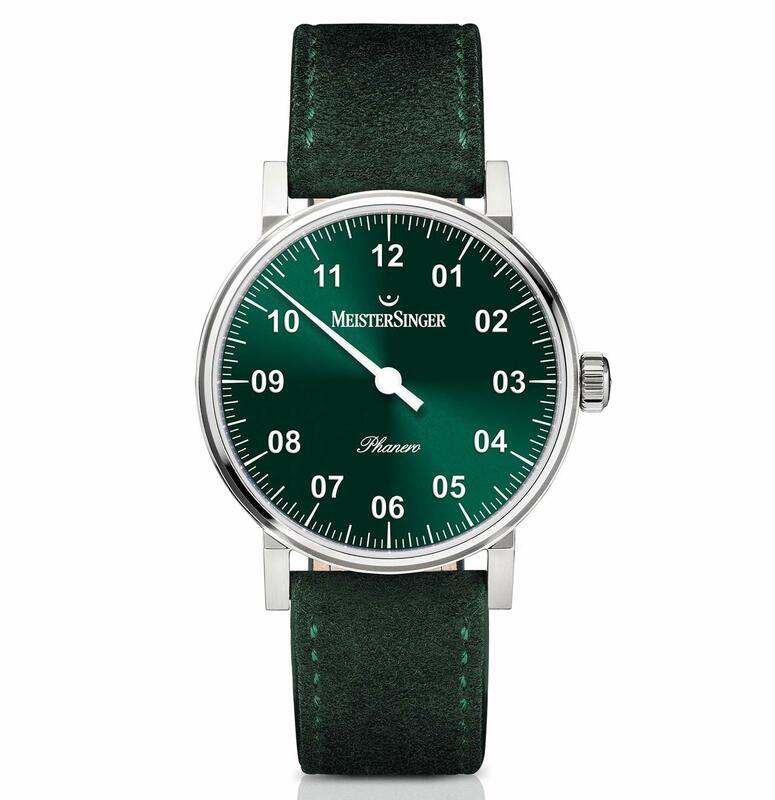 PH308) and a trendy sunburst green with white hand and white hour markers (ref. 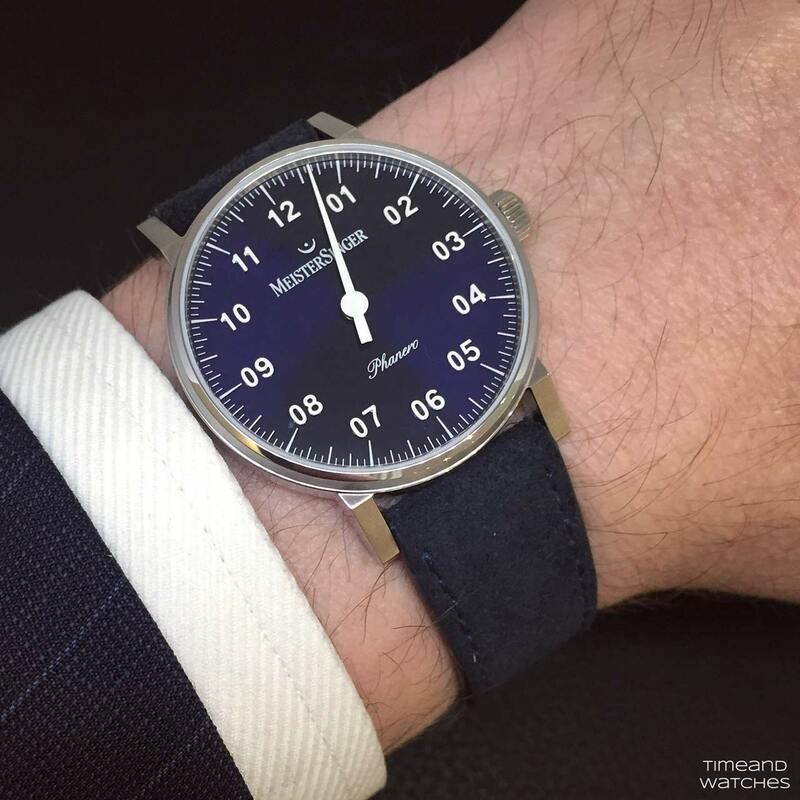 PH309). 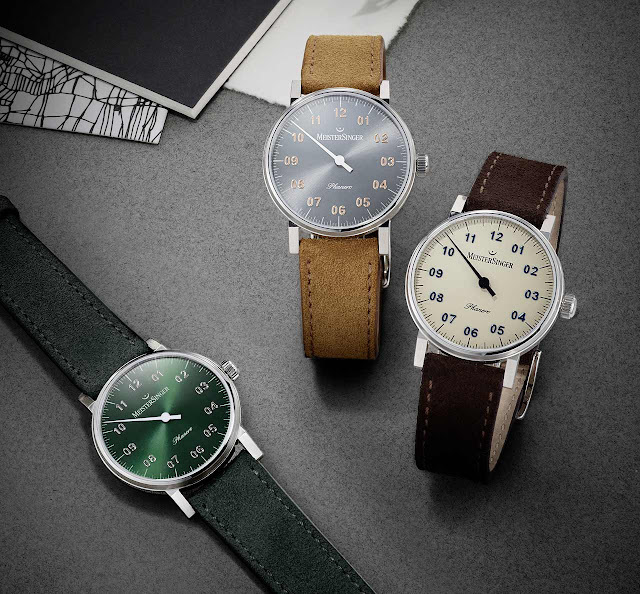 Want to read more about single hand watches in watchmaking history? Click here. 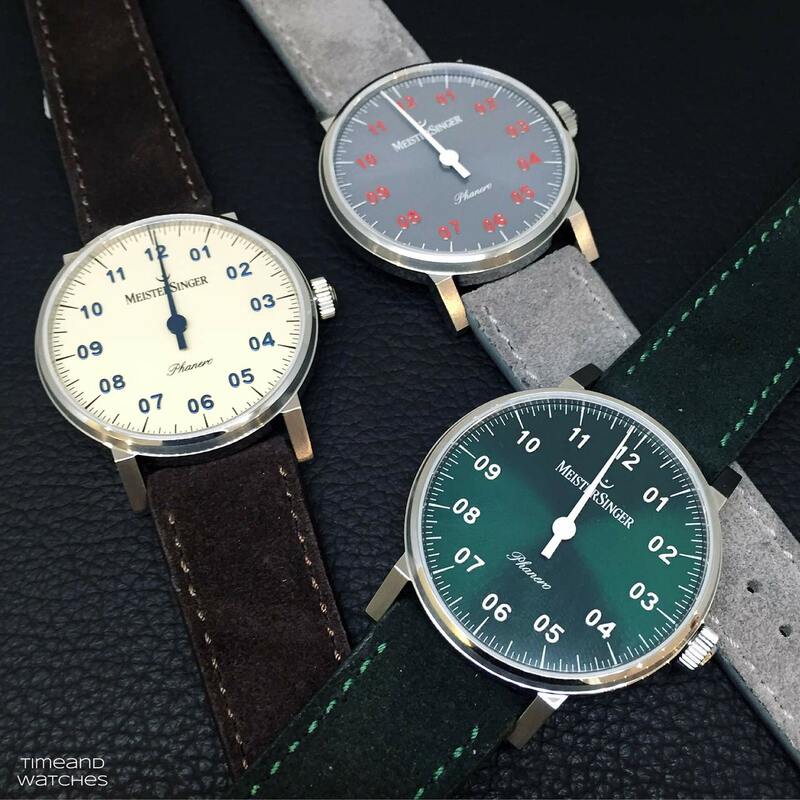 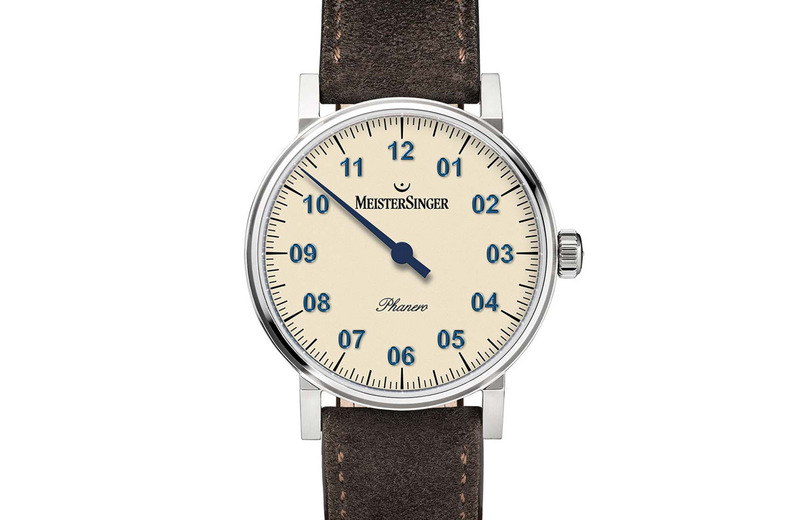 MeisterSinger Phanero. 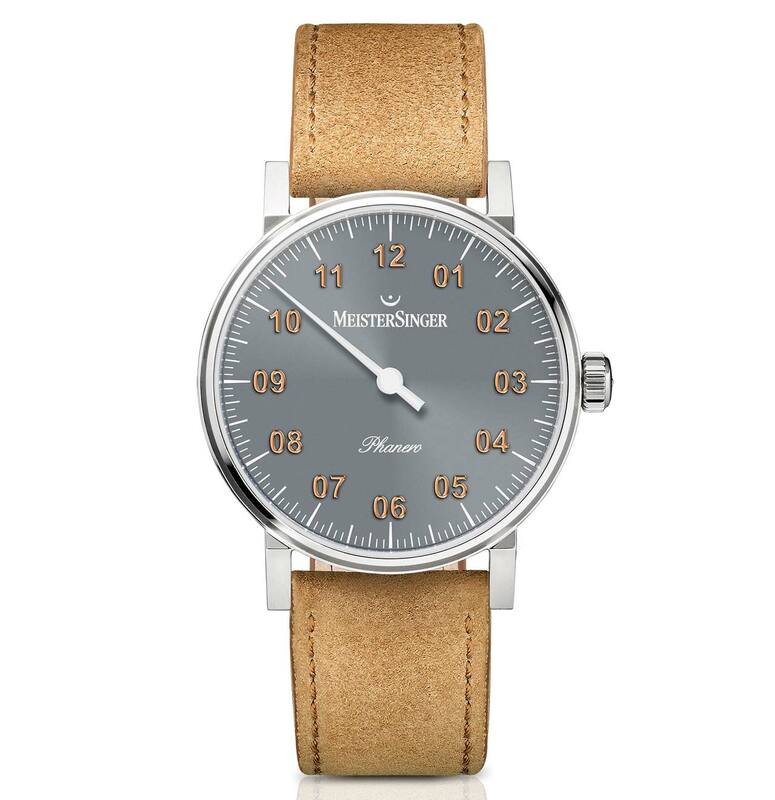 Presented at Baselworld 2016, the new Phanero (from the Ancient Greek word “phanerós” meaning “visible”), with its diameter of 35 mm, is now the smallest and thinnest model in the MeisterSinger collection. 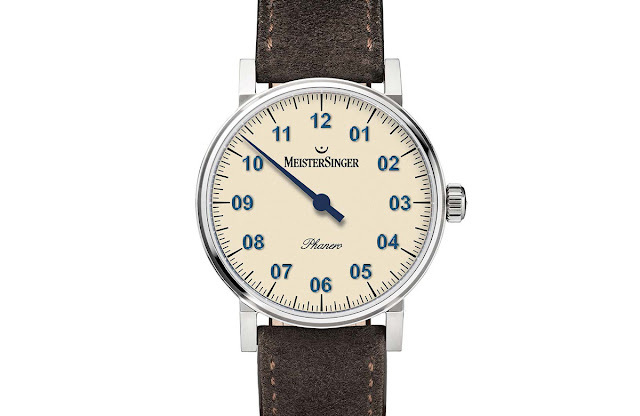 The MeisterSinger Phanero has a retail price of Euro 1,398.